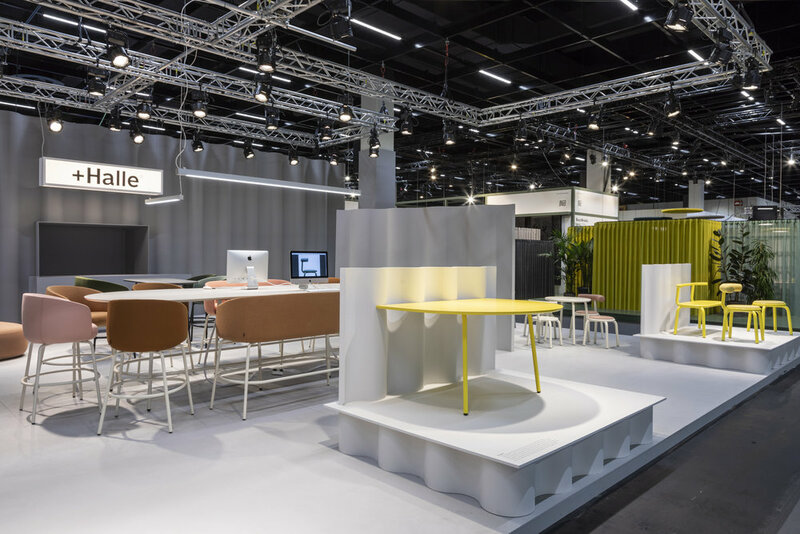 Every two years the Orgatec fair takes over the Cologne trade hall to provide an overview of the best in workplace design. 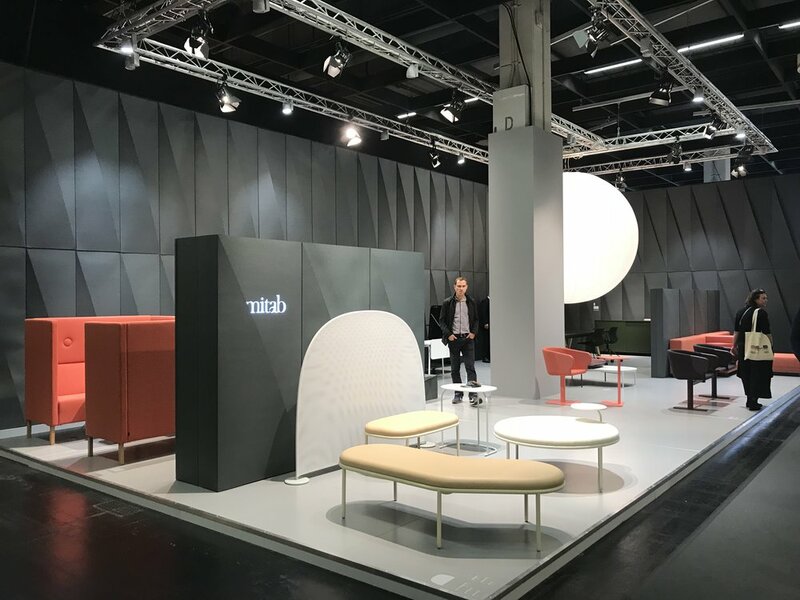 The 2018 edition did not disappoint and included major new product launches from +Halle and Zeitraum, whilst Mitab took the opportunity to showcase their latest collection (previously seen during the Stockholm Design fair). 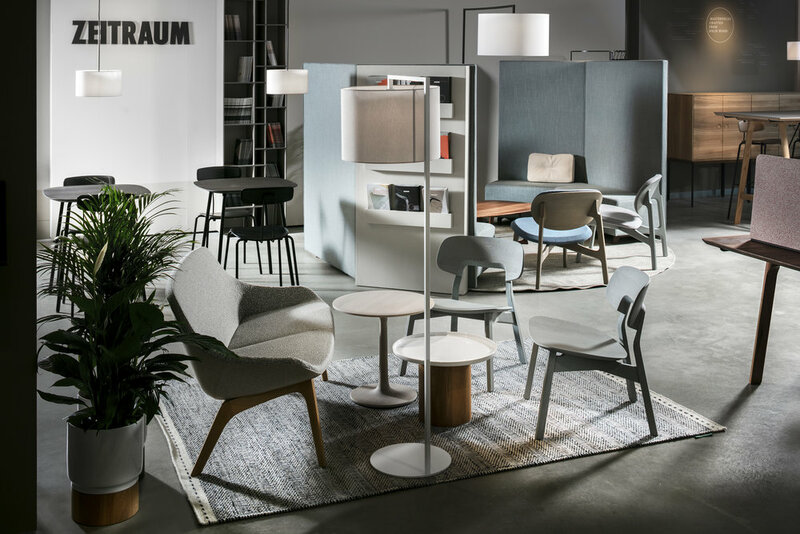 +Halle in particular had a fantastic fair with the new Torno collection by Form Us With Love, as well as additions to the Nest family. And their embarrassment of riches was topped off by their ‘Trade Fair Stand of the Year’ nomination from Frame magazine. Images courtesy of +Halle. Photography by Patricia Parinejad. 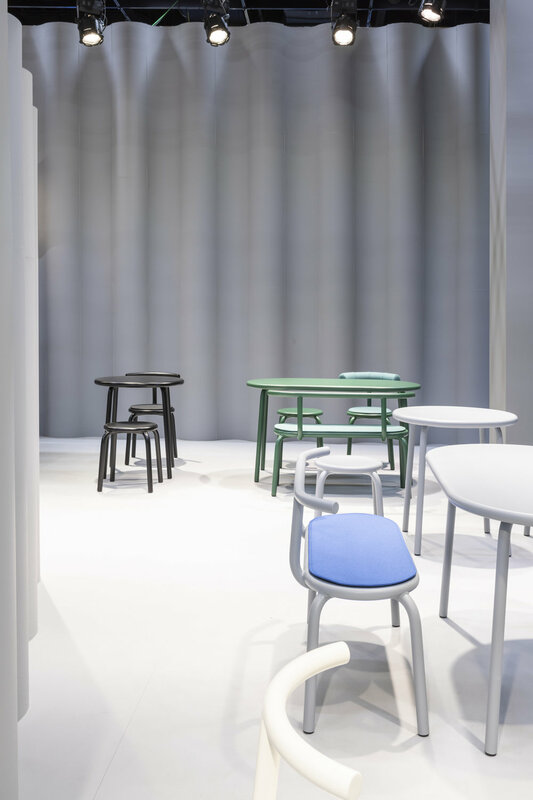 Zeitraum choose to focus on the new Okito family of chairs and tables. 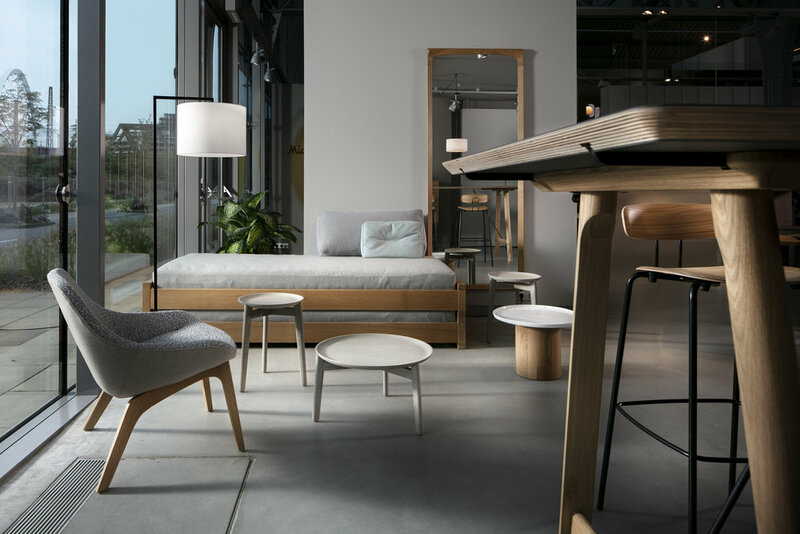 Designed by Läufer & Keichel, the family is minimal in the extreme, allowing it’s clean lines to highlight the exceptional quality of the timber as well as its construction. Designed specifically for contract use the Okito Ply took centre stage in their presentation. 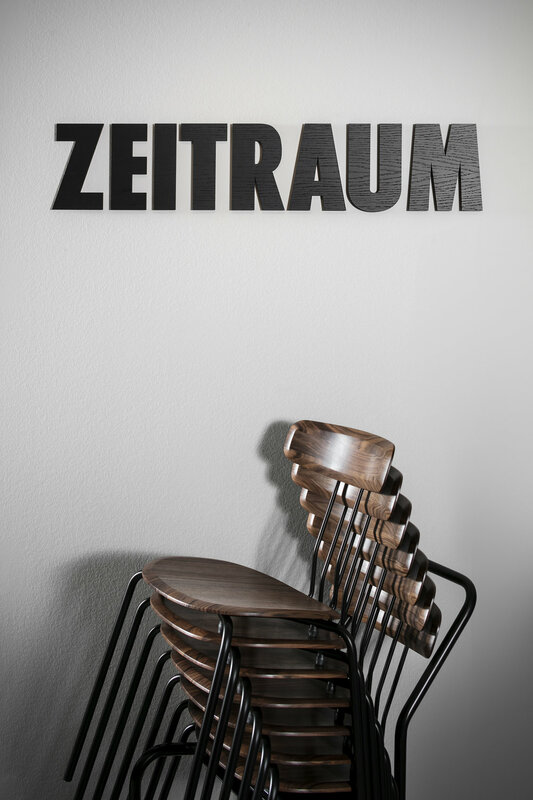 Images courtesy of Zeitraum. Photography by Nava Rapacchietta. 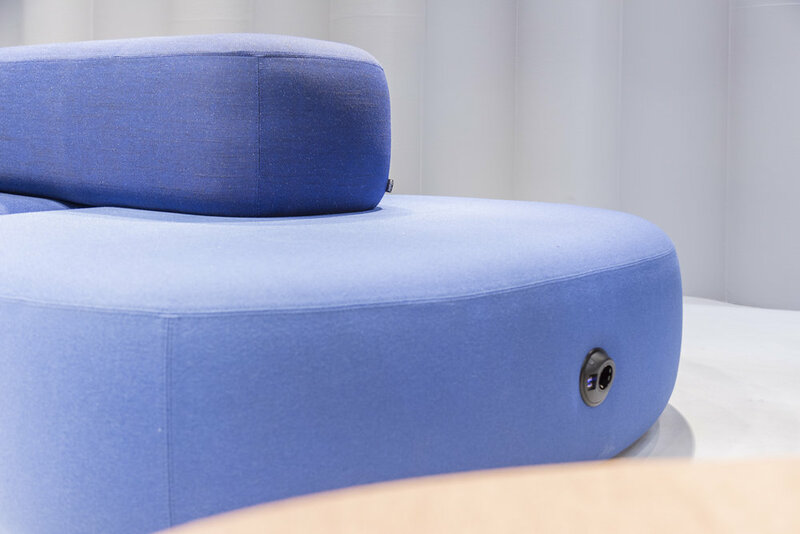 Finally, Mitab came to the fair with their highly-praised 2018 collection previously launched during the Stockholm Furniture fair in February. 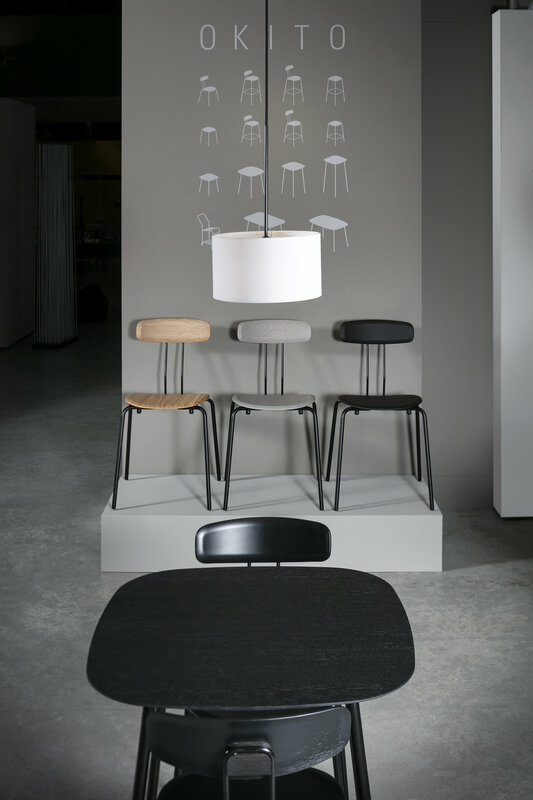 Featuring new designs from Note Design Studio and Joel Karlsson. All images courtesy of +Halle, Zeitraum and Mitab.